Jobe’s Quick Update and Some Pictures! Using your travels to inspire great writing is not the same as writing what you know. As I mentioned in previous posts, I do not believe in that simplistic approach. However, visiting new places has a tendency to spark our imaginations. Whether it is the sound of a massive waterfall or the saffron color of a certain autumn-turned leaf, inspiration can be found anywhere you look for it. I recently took a road trip from Los Angeles to Flagstaff using Route 66. Honestly, the view wasn’t so different from the Interstate, except in a few select places. After my first night in Flagstaff, I made the short journey down to Sedona, the legendary and mystical home of the Red Rocks. I can truthfully say that I have never seen anything so beautiful. Who would have thought that a desert could be so magical? Photographs do not do it justice. In a rented, well-equipped jeep, I took to the off-roads. I saw the Seven Sacred Pools at Soldier’s Pass. Native peoples believe the pools are magical due to the fact that they never dry up no matter how bad of drought the region is having. The pools were buzzing with life. Hundreds of tiny tadpoles swam about, biding their time until they become adults. Also along this trail was a massive sinkhole that could have devastated the area. It didn’t though. Deep down at the bottom, trees, bushes, and ground cover grew up through the rumble. How persistent! On the second trail, this one much higher than the last, I stopped at the Hunaki Ruins. Carved into the side of a mountain more than one thousand years ago were the remains of what used to be a community. It was quite humbling to see just how far this country has come. 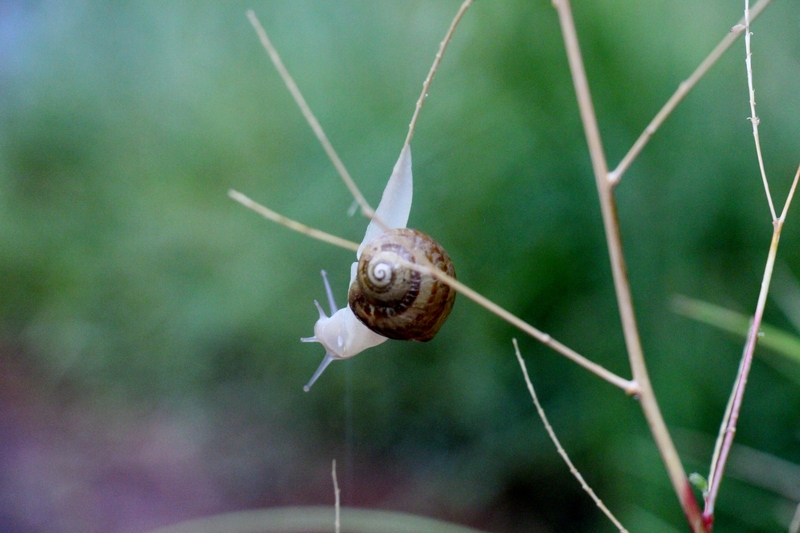 In the evening, I stopped by a park, swam in a flooded river, made friends with a snail struggling in a thunderstorm, and took some of the most breathtaking photographs in my life. Struggling to cling to the plant during a heavy rainfall, this little creature stopped my breath. 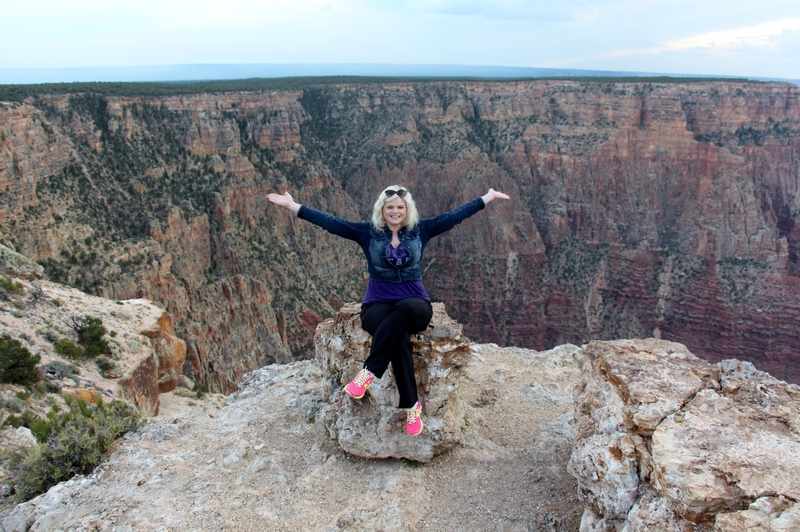 On day two I braved the torrential rains and headed up to the Grand Canyon. 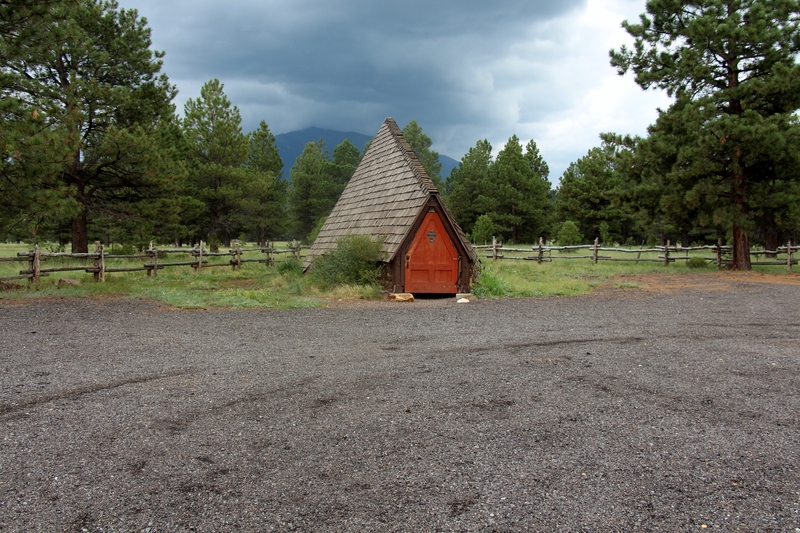 Words cannot describe the forest north of Flagstaff, especially during a thunderstorm. I passed a small chapel on the side of the road, and it beckoned me to turn back around. I spent a good hour in that place. I wasn’t praying or attempting to plan an event, I was simply listening. The smell of the rain, the sound of nearby thunder, lightning illuminating the dark forest in the backdrop; it was almost too much for my senses. I waited for the rain to stop before moving on because in Los Angeles we do not get hardly any. Being from Arkansas, a state well known for its pop-up weather, I have developed a sort of longing for that rain. I finally made it to the Grand Canyon, the main reason for my road trip, and had no trouble finding parking. The place was slammed, but I simply got lucky and found a spot right up front. It wasn’t a long walk to the edge. I was beginning to think the experience would be ruined by the throngs of people pushing and shoving. However, once I got to the guard rails and looked out at the painted canyon, I was overwhelmed by the enormity of it all. It didn’t seem real. How could this place, this seemingly never-ending place, be real? It was as if I had just stepped into a painting, and everyone else melted away. I spent the rest of the day exploring viewpoints that were less travelled and watched the now distant thunderstorm rage on against the vibrant sunset. The gem of my road trip. Do you have to goes on a cross-country trip to find inspiration? Of course not. We find inspiration all around us wherever we are. I will admit that actually experiencing the beauty of Arizona has opened my imagination even more. Pictures and videos cannot explain the majesty of it all. I can say with the utmost certainty that I will be using my travels to my own writing advantage. Next week, I will write more about travelling, but it will focus on small towns. Stay tuned!